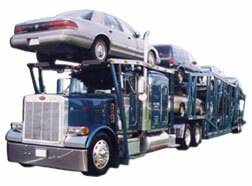 Plano Auto Transport, Plano TX Auto Transporters, Plano Auto Transport Company since 1995. (in the form of a Cashier's Check or US Postal Money Order) to be mailed either Certified Mail/Return Receipt Requested or Federal Express overnight. Upon receipt of your signed agreements and deposit, we will begin scheduling your car for transport. To expedite matters, we will accept a faxed copy of your deposit and the Shipping Agreements and we will at that time process your car for transport. However, the hard copies must be in our office within 5 business days. Once a transporter has been assigned, the driver will contact the person at origin to schedule a time for pick up. The driver will arrive to pick up your car and will inspect your vehicle for any existing damage. The driver will give a carbon copy of the inspection report to the person you have assigned to release your car. Your car is loaded and is in transport to your destination. The driver will be making stops along the way to load and unload additional cars that he has scheduled to move. 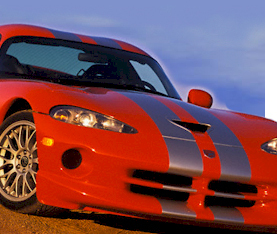 The driver will call within 24 hours of delivery to set up a time for delivering your car. Once at the destination, it is your responsibility to inspect the car noting the damage listed at origin and signed by the person authorized to release your car. 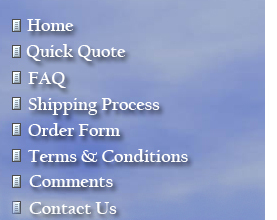 Please be certain to note any damage not already on the Bill of Lading prior to signing the form. Should there be any damage, contact N.A.V.T., Inc. at which time we will advise you on your claim. If the entire transport fee has not been prepaid, then upon delivery the balance is due to the driver in the form of cash or a certified cashier's check. Copyright © North American Vehicle Transport, Inc. All Rights Reserved.